This book is no longer in print, and is unavailable. 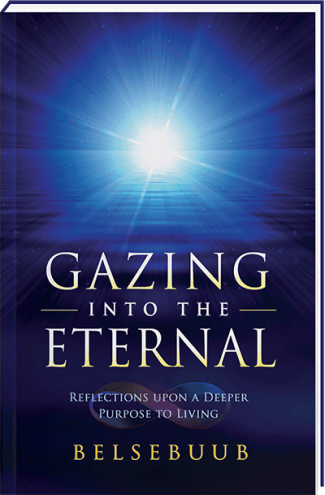 Gazing into the Eternal is a collection of a number of Belsebuub’s key talks that provide an introduction to spiritual knowledge. It takes a clear and easy-to-understand look at some of the most profound questions we face, such as what happens when we die, is it possible to have the divine within, what are the causes of suffering, and how can spiritual realities be personally explored. Through reflections, as well as Q&A sections, Belsebuub delivers a powerful message about the potential each of us has to discover the deeper purpose of existence. From near-death experiences, to out-of-body experiences, the egos and subconscious, to finding peace within, this book gives a concise and exacting overview of the exploration of the human psyche and multidimensional reality, why the world is the way it is, why we dream, and how we can understand death while still alive. This book was downloaded over 27,000 times as a free eBook between 2012 and 2016, but was taken offline as it was being too plagiarized. What if it was possible to find the answers in life, through your own personal spiritual experience? Ancient spiritual teachings, religions, near-death experiences, and even some scientific discoveries, point to there being a deeper purpose to life. But either obscured or incomplete, in themselves, they only offer pieces of the puzzle. With over 25 years of out-of-body and esoteric experience, in Gazing into the Eternal Belsebuub provides reflections upon some of the most profound eternal questions every human being faces, to deliver a clear and powerful message about the potential each of us has to discover the deeper purpose of existence. Mark Pritchard (writing with the name Belsebuub) is the author of a number of books on out-of-body experiences, dreams, self-discovery, and esoteric wisdom. 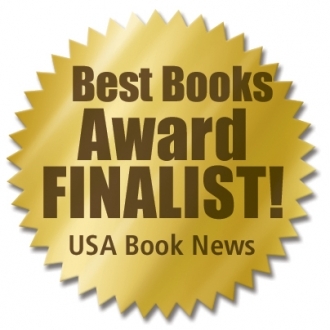 An early edition of his book The Astral Codex became a bestseller in its genre, and Gazing into the Eternal was a finalist in the Best Book Awards 2009 in Spirituality. He has appeared on radio and television programs internationally, and writes from decades of spiritual and mystical experience. the eternal, and/or the temporal, source of all things eternally encompassing, including but not limited to, the light in any form. There are currently three new printed editions of the books available at cost (with no royalties being paid to the authors) and as mentioned on this page, Gazing into the Eternal is also scheduled for paperback release soon. If purchasing a paperback copy is not an option due to financial concerns however, there is still a wealth of insightful information available freely on this site, contained within the various articles, videos and audio files. It would take many hours or days to go through everything that is available here, so there should be plenty to get started with. There are also plans to release some eBook titles again in a more protected manner in the near future. I hope you will find the information on this site useful and wish you all the best in your spiritual search. Sadly, the eBooks are no longer available. They had to be taken offline because they were too heavily plagiarized, as explained here https://belsebuub.com/the-plagiarism-of-this-work-is-too-extensive. We are working to make all of Mark’s work available in print and are looking into ways to release some of the eBooks in a more secure way for the future. Three of Mark’s books are available in print currently (The Path of the Spiritual Sun, The Astral Codex, and The Awakening of Perception), and over the next two months, the other three should be available. You can learn more about the books we publish and where you can get them here http://www.mysticallifepublications.org/books. There are so many insights and hidden gems of wisdom in this book and often I find that by re-reading certain chapters again, I get a better understanding of what Belsebuub is writing about. Many times, it also makes me questions where I put my time forward – this is my life, yet more often than not, I’m not the one controlling it, and Belsebuub talks about what can be done about this, how to regain the ultimate freedom by liberating our consciousness. This website and YouTube channel explores the ancient religion of the sun that was taken around the world following the catastrophe at the end of the last ice age by the legendary sages and civilizers recorded in world mythology.